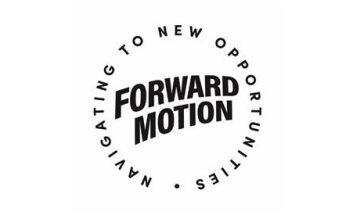 ForwardMotion is delighted to announce its sponsorship of this year’s Village Green Festival, taking place in Chalkwell Park, Southend-on-Sea, 13 July 2019. Village Green is a much loved multi-arts and music festival. It is produced by arts organisation Metal. This year marks the tenth edition of the arts festival, which regularly draws thousands of people. Sponsorship of the Village Green Festival is part of ForwardMotion’s commitment to engage members of the community and encourage them to think differently about the way they travel around south Essex instead of jumping in the car for every journey. The goal of ForwardMotion is to reduce reliance on cars and get people to consider alternative travel options such as cycling, catching public transport or walking. ForwardMotion will be hosting a ‘ForwardMotion Village’ within the festival focused on cycling, walking and public transport. There will be fun activities such as performances from professional skateboarders and BMXers, static bike racing, balance bikes and a pop-up cycling track. There will also be representatives from local train and bus operators. A ForwardMotion spokesperson said: “We are proud to announce that we will be an official sponsor for Village Green Festival 2019. The festival has continued to grow since its inception and after a year without the festival in 2018, the anticipation for this event is building. Sean McLoughlin, festival director, said: “We are delighted that ForwardMotion is one of the Village Green sponsors this year as we are very passionate about promoting sustainable ways of transport to the event. ForwardMotion is a collaboration between Essex, Southend-on-Sea and Thurrock Councils and is funded by the Department for Transport. For further information, please visit the Forward Motion website or email the team.